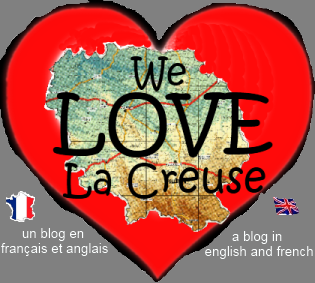 23500 raisons pourquoi we love La Creuse: Psycho Killer - Qu'est-ce que c'est? We adopted one of our fish by mistake. Anna and Richard went on holiday and asked us to “take care of our fish for us”. Given we had managed to not take particularly good care of around 25 fish of our own we thought this was rather foolish, but they were desperate and a couple of days later a pale yellow Goldfish was swimming around our tank terrorising the two remaining fish: black fantail Den Perry and plecko Ray Von. Anna casually informed us (after releasing him into our tank) that he was called “Killer”, and for good reason as he had despatched every other fish he had lived with. Sure enough, after a month or so we suddenly realised Ray Von had vanished. We had no reason to believe Ray Von had run away. On the contrary he had seemed very happy in the tank. We suspected foul play and Killer was number one suspect. However with no body, and with both Killer and Den Perry maintaining a pact of silence, we were unable to put him on trial. Den Perry seemed to like Killer well enough (if the definition of “like well enough” is swimming very fast away from the goldfish who is enthusiastically trying to prod you in your backside with his nose) and in the end it seemed a shame to separate the two friends, and so Killer not only stayed with us, but came on the long journey to France. It was only after, with tears in our eyes, we watched the Van being loaded onto the back of the large towing truck, that we realised Killer had done it again.